Cabinet refacing is simply replacing your cabinet doors and drawers and veneering other parts of the cabinet that are visible. The cabinet cases, or boxes, remain is place, keeping the kitchen layout the same. They are covered with a fresh new veneer. Doors and drawers are entirely new. 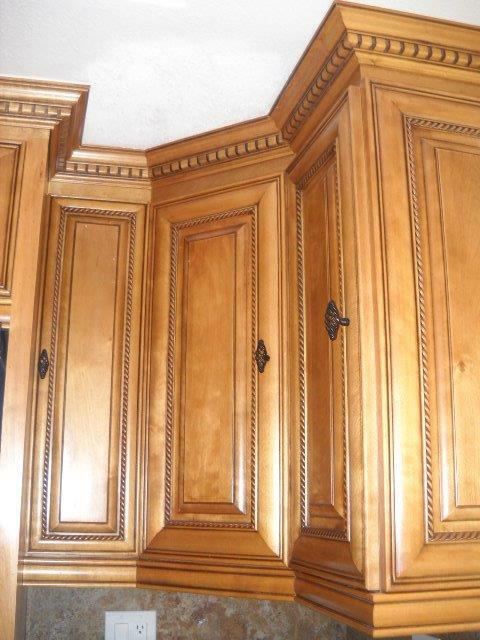 New cabinet decorations and trims can be added to finish off the look, and complemented with new hardware. For those on tight budget with a limited schedule, cabinet refacing can give you a whole new look in a short amount of time. When you refacing your kitchen cabinets, you’ll keep the existing structure, but update the hardware, drawers fronts cabinet doors and exteriors surfaces. Give your kitchen a fresh new look without completely interrupting your life.